After the awesome success of the first CS women’s weekend away last year, we are so excited to host the second weekend away at St George’s House. We are aiming to keep some of the elements that made last year so great, but with a slightly different slant of a more creative feel to our worship and fellowship sessions- and with the added bonus of a warmer month! 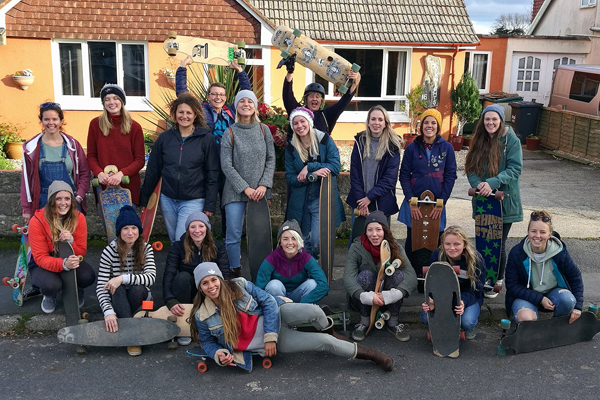 It will be a great opportunity to re-connect with the women from last year and to meet some new faces, with plenty of opportunities to surf, skate and chill. We are also planning (weather permitting) a beach bbq on the Saturday with campfire music, lots of dancing and plenty of marshmallows! St George’s House is a Christian outdoor centre and accommodation is mostly in bunk rooms with a few smaller rooms, with shared bathroom facilities. The price for the weekend includes all food from Friday evening until Sunday lunchtime and there is the opportunity to book a surf lesson at additional cost if you would like to. There is also a discount of £20 for anyone who will be attending the CSUK National Gathering in June for the first time (and has booked and paid for that place). We wouldn’t like cost to be a barrier to anyone attending so please contact ali@christiansurfers.co.uk if this might be an issue for you as we might be able to help.